Prolific Queensland sprinting mare Tumbler has been retired after suffering a leg fracture. Top Brisbane mare Tumbler is set to be retired after sustaining another leg injury. Tumbler’s career has been littered with injury and hard luck stories but she still won eight of her 18 starts and nearly $300,000 prize money. 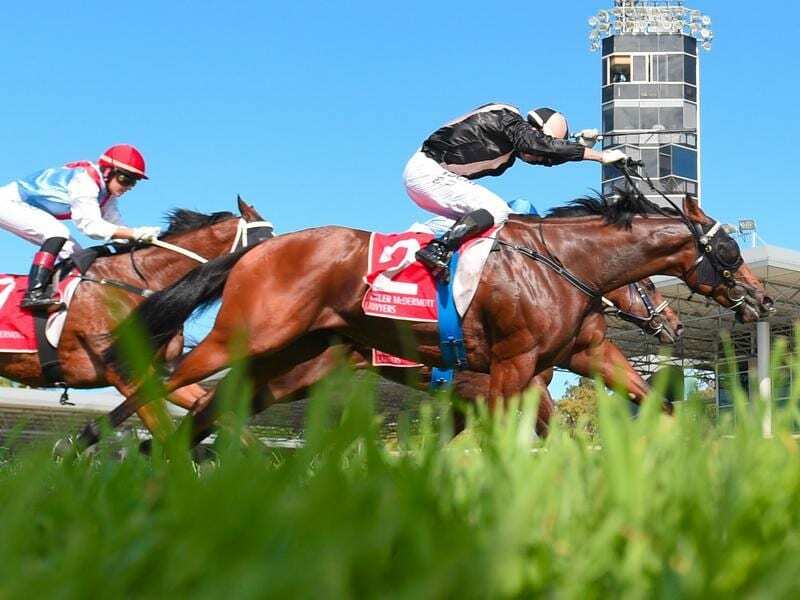 She ran second in the Group Three W J Healy Stakes and Listed Queensland Lightning last winter and trainer Barry Lockwood felt she would be up to top company this winter after she won her last start at Eagle Farm. But Lockwood said Tumbler had been found to have a hairline fracture in a leg. “She is seven-years-old and really it is time to retire her. She will go through the Magic Millions national Sale in June,” he said. Lockwood is hoping Tumbler’s younger full sister, metropolitan winner Showus Ya Diamonds, can overcome a wind problem to return to her best form. “Otherwise it is going to be a busy broodmare sale,” he said.